Late April in the U.P. We had a wonderful warm day yesterday. Our temps here got to about 67 degrees F. It was nice and sunny, so I let the chickens out of their yard for the day – we have had rain for the last week until 2 days ago, so their run is really muddy. I wanted to give them a chance to hang out in some grass. They really enjoyed it. So did we. 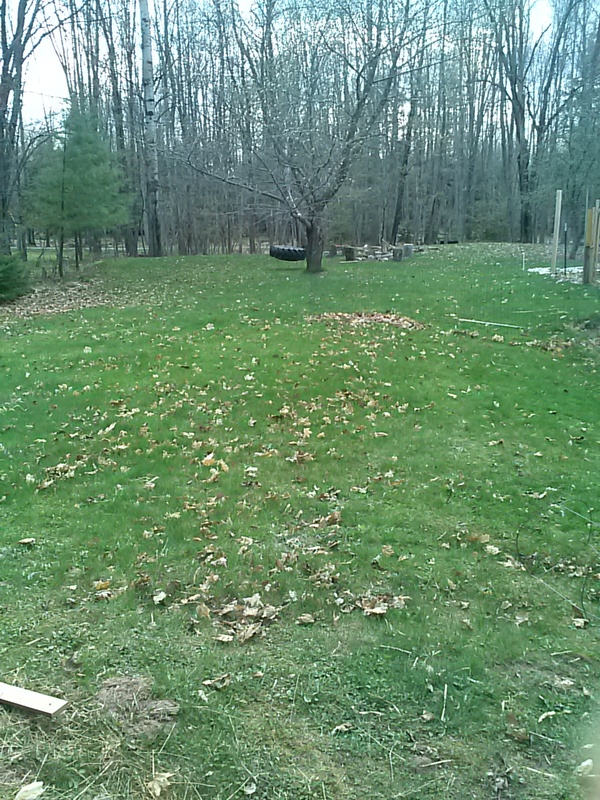 We got some of our yard work completed too. Here are some pictures of our nice day yesterday. Here are the chickens and ducks enjoying the sunshine. Our rooster Big Red watching over everyone. My raspberry plants were a (very spiky) mess. I had some old scaffolding laying around, so I created a support system. The fencing on the ground is protecting my strawberries from dustbathing chickens – they think my garden beds are great dust baths. Here is a closer view of the new raspberry support system. Hopefully I’ll get some yummy berries this year. I’m growing potatoes in old feed bags. Here they are. I’m trying this out, we’ll see how it works. 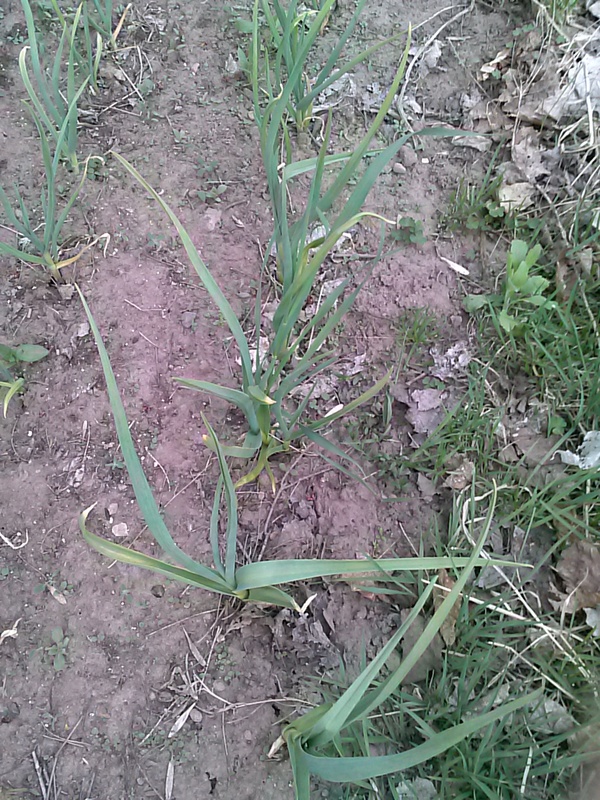 This is my onion patch. I planted it last week when we had a break in the rain. It’s hard to tell from this picture but they’re growing pretty well so far. Again the fence is to keep the chickens off for the day. I only put it down when the chickens are out of their run. Here are two of our 3 baby bunnies, they are starting to eat their mom’s food instead of just her milk. 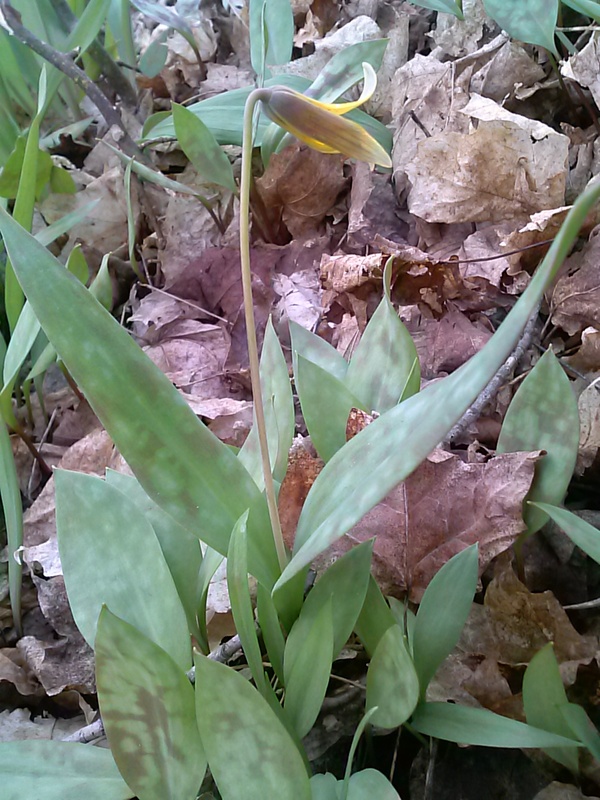 We picked wild leeks (ramps) yesterday! I made a really good omelet for dinner with them. It looks pretty, but it’s April 23rd. This is the U.P. though. It’ll melt today or tomorrow, and then we’ll wait for our next sunny day. Spring is trying to be here. It just has some days off, I guess. After a pretty schizophrenic winter, spring appears to finally be here. We had big melts in January and February this winter, but I’m hoping the nice weather will stick this time. This is the U.P., so it’s very likely we will get some snow again, but I’m going to enjoy it while it lasts. 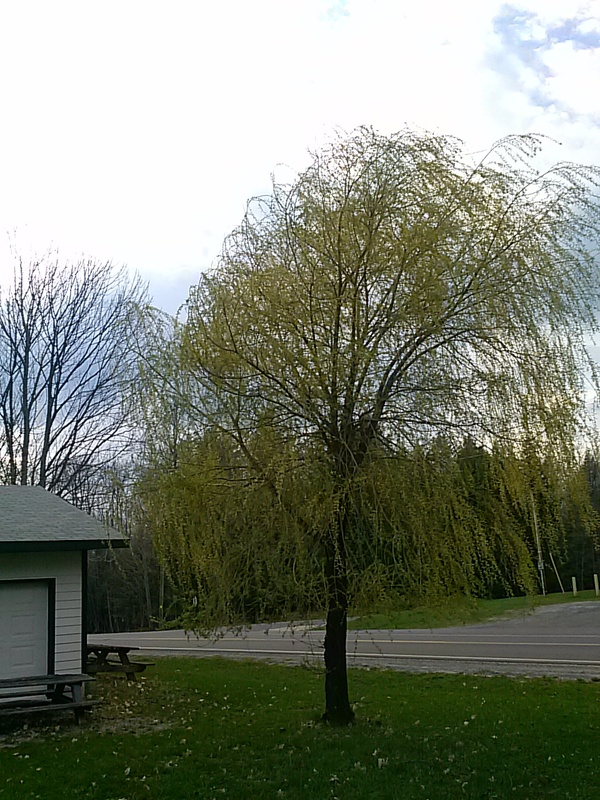 The last few days were kind of crummy – cold and rainy. But today it was finally sunny, and in the low 50s. We got some things done outside, and the animals enjoyed the sunshine. Our chicken coop – you can see our snowbanks are still here. Our yard is pretty much a mix of snow and muck right now. The sun should dry it out. It’s Maple Syrup gathering time! There have been some weeks this winter where I heard others were tapping, but March is the correct month – when nights are below freezing but days are warmer. I tapped them today and the sap is really running well. You can kind of see the drip of sap getting ready to fall into the bucket here. 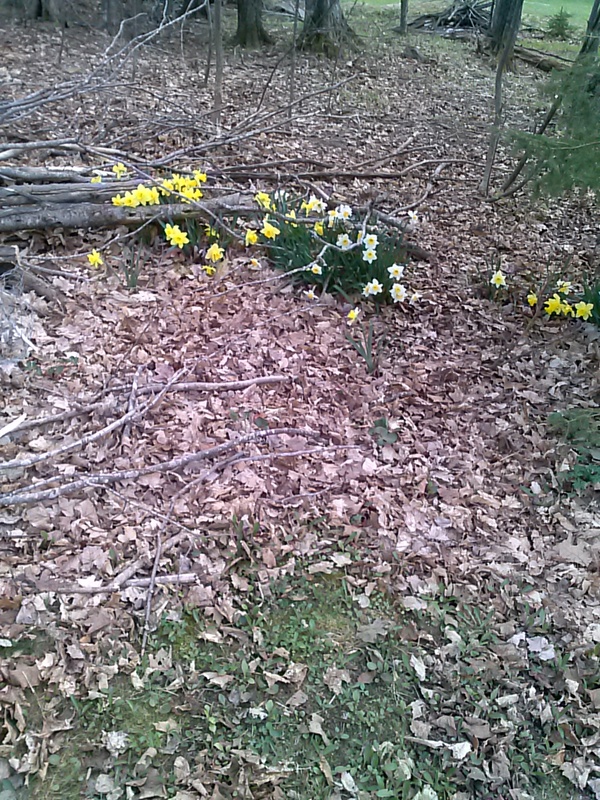 The ground thinks it’s really spring as well – the daffodils are coming up! Baby crocuses are coming up too! The chickens and ducks enjoyed the sunshine today – here’s our rooster Big Red. Here is The General, our other rooster. The hens enjoying the sun. You can see the muddy ground here – there is a layer of mud on top of ice – the ground has not thawed yet. Once it does the ground will dry out a little easier. Atat enjoying the sunshine. 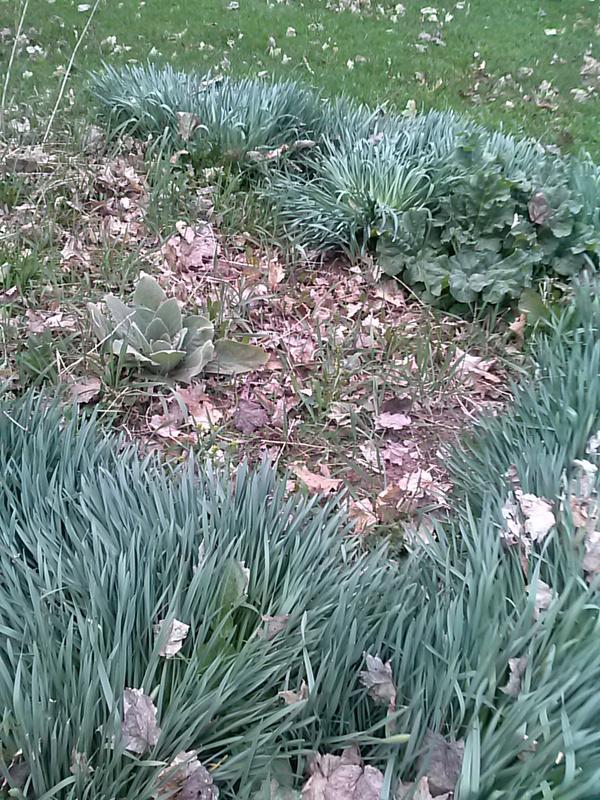 At least that part of the yard is just dead grass, not mud. I’m hoping spring weather sticks around for awhile. Yesterday we finally got the ducks outside. Phew. My house now smells a lot better. They really like their new home. There is an old dog kennel that my Dad built many years ago, and last year my husband was converting it to a clubhouse for my son. It was still in transition, and we needed somewhere to put the ducks, so my son said he doesn’t mind if we use it for them temporarily. We want to set up something more permanent, with a fenced yard/run, and a kiddie pool for them. The duck house, along with my son on the roof and my husband on the right, both doing silly poses. We were working on reinforcing the house last night (to keep out hungry raccoons, etc). The ducks in their new digs. They have a heat lamp to keep them warm at night, and a bunch of pine shavings for bedding. Inside the duck house, on the other side from where the ducks sleep -this is the food and water area. We are trying to keep their water away from their bedding, as much as we can. 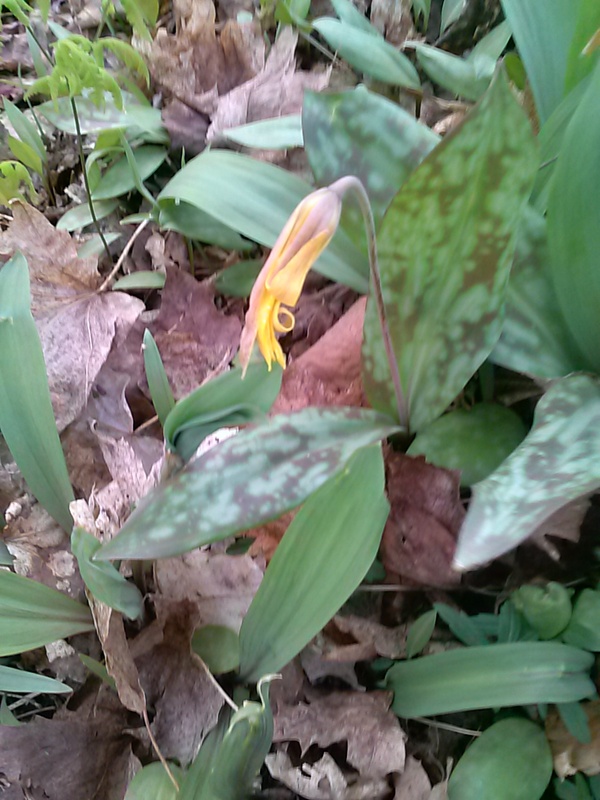 The Green I saw in the woods was little daffodil leaves. 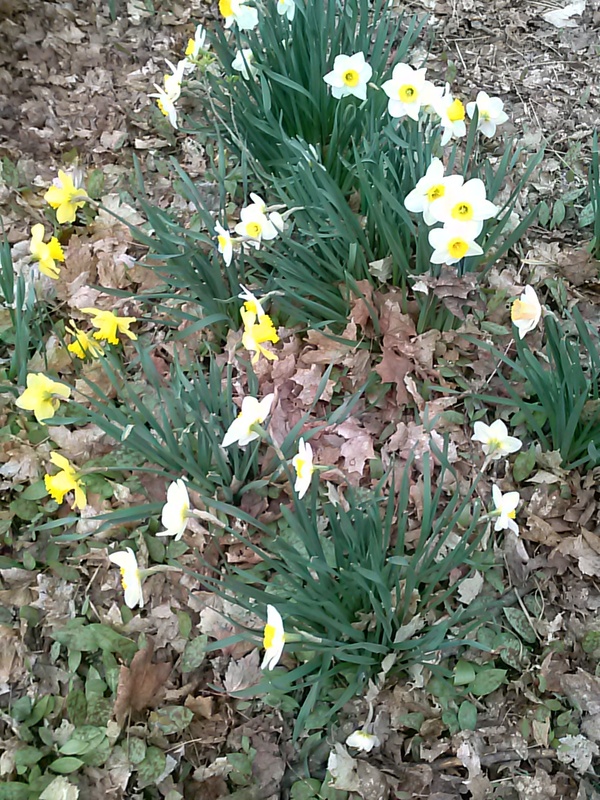 Because I saw the daffodil leaves, I came over to check on our usually-first-to-flower flowers, and I found what I was looking for – these crocuses were all bloomed. Today was in the 70s and my son was very anxious to get his pool filled up. Like the ducks, he is also obsessed with water. The water was too cold for him to swim – it takes a few days to warm up when it comes out of our hose. But he realized after filling it awhile that it was situated on a hill anyway – it wouldn’t have been very evenly filled. So he said we could let the duck use it today, before dumping it out to move it to a more level spot. They were very happy about that. Ducks in the half-filled pool. My son watching the ducks. They were having so much fun. It was nice and sunny also. I don’t think they care if the water is cold, but the sun helped to keep them warm. They are mostly feathered now, with the yellow fuzz almost gone. One funny thing I noticed – you can see it in the middle duck on the bottom of this picture – some of them look like little balding men. They have a flat white head (feathers) and a little sticking up ring of fuzz, like the fuzz is balding. It’s pretty funny. The ducks had a blast in the pool, and then we had to force them out so we could put them away for the night. We got them out and they sat in the grass, preening. We had carried them over to the pool. But after their swim, they were soaked. We wanted to see if we could get them to walk back to their house, which is about 40-60 feet away, across the front yard and our driveway. We tried luring them with food, which didn’t work. We tried calling them, but they didn’t want to follow us. I finally realized that I could get them to move (in a group) if I walked behind them, kind of shuffling them in the direction I wanted them to go. They got the hang of it after a bit, and got half way or so across the yard. It was a long walk for them, compared to what they are used to, but it worked pretty well. It was a little slow going. Then we realized that if they were to walk across the driveway they would get really muddy. So we carried them across the driveway back to their house.